Turned away from the Royal Canadian Air Force for his apparent youth and frailty, Farley Mowat joined the infantry in 1940. The young second lieutenant soon earned the trust of the soldiers under his command, and was known to bend army rules to secure a stout drink, or find warm -- if nonregulation -- clothing. But when Mowat and his regiment engaged with elite German forces in the mountains of Sicily, the optimism of their early days as soldiers was replaced by despair. 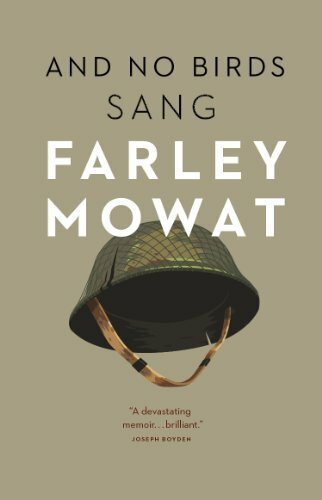 With a naturalist's eyes and ears, Mowat takes in the full dark depths of war; his moving account of military service, and the friends he left behind, is also a plea for peace.